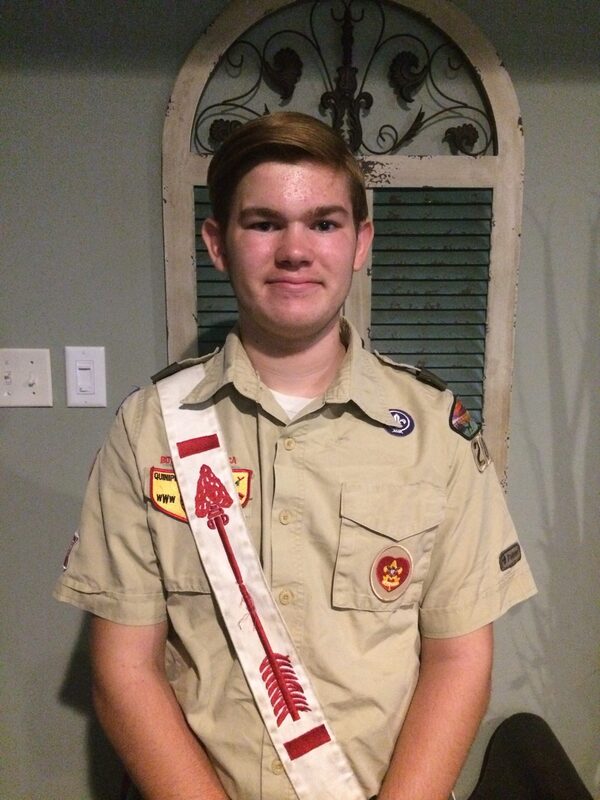 Andrew is an Eagle Scout from Troop 205 and a member of Quinipissa Lodge 479. He is a recipient of the World Conservation Award and is a brotherhood member. Prior to being Section Chief, Andrew served as Lodge Chief of Quinipissa in 2016 and 2017 as well as Vice Chief of Service and Chapter Chief. He has served as the co-Conclave Vice Chief of Program in 2016 and the Conclave Vice Chief of Shows in 2017. 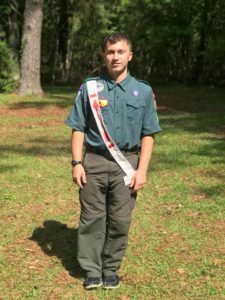 He loves to camp and has served 2 years on summer camp staff at Hood Scout Reservation in Hazlehurst, MS. He also has attended Sea Base High Adventure Base in Islamorada, FL. Andrew is 16 years old and is homeschooled. He is planning to either go to college for business management or attend the military academy Westpoint in New York. Outside of Scouting, he enjoys spending time with his friends & family, working, playing music, and training in martial arts. Andrew has played piano for 5 years and is trained by his Grandmother. He has trained in martial arts for 4 years and is a 2nd Degree-Level 4 Black Belt as well as being minorly trained in two different styles of jujitsu. He loves sports and is a huge New Orleans Saints fan. He loves competition and has competed in many taekwondo tournaments. Andrew’s goal is to bring change to Section SR-1A and do things the section hasn’t done in a while or ever before. He also plans to work with the six lodges within the section on a more personal level aside of just section events. Of course, Andrew is going to try and make the section events the best they can be. 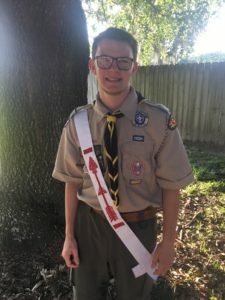 Francis is an Eagle Scout and Brotherhood member. He is from Crew 101 in Bunkie, LA and a member of Comanche Lodge 254. He serves as the Vice Chief of Administrations of Comanche Lodge and as the VOA President of Louisiana Purchase Council. Francis has served on summer camp staff and winter camp staff. He has also participated in a National Leadership Seminar and National Scout Jamboree 2017. He looks forward to attending NOAC 2018. Francis is 17 years old and a Senior at Avoyelles Public Charter School. He is planning to go to LA Tech in Computer Science, concentrating in Computer Engineering and Cyber Security. His vision about the Section includes perfected communication (website, newsletter, social media), professional quality shows, and higher amount of participation in events. He wants this vision to be achieved by the end of this term. Lastly, some of his most beloved hobbies is playing chess, trading card games, and making publications. Zachary is an Eagle Scout from Troop 65 in Gonzales, LA . He is also a Vigil Honor member of Quinipissa Lodge 479 and serves as the Lodge Chief . Zachary has participated and staffed National Youth Leadership Training. He has participated in National Leadership Seminar. Zachary has staffed at Camp Avondale summer and winter camp for 4 years. As of the summer of 2018, Zachary will achieve his Triple crown for going to all 3 of the High Adventure bases. Zachary also went to National Jamboree as and Assistant Senior Patrol Leader. Zachary is 18 years old and a Senior at East Ascension High School. He is an Swimmer on his school’s Swim team. Zach plans to go to college at Southeastern Louisiana University and become an education major (later a teacher). His goal for this year is to establish better communication between lodges in order to increase participation at Section events and to be sure that all Section events run smoothly.